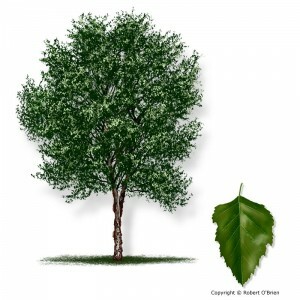 This is the most common birch of the South, and is often found along streams and in wet bottoms in association with American elm, sycamore, red and silver maples, boxelder, willows, and poplars. 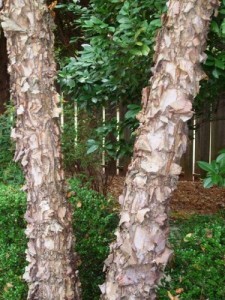 It is easily recognized by its shaggy brownish-gray bark. Leaves are alternative, simple, deciduous, bright green above, and pale and hairyÂ below. Flowers are in catkins, and fruits are small, winged nutlets that mature in late spring. It’s a medium-sized tree, usually 40 feet in height, but can grow up to 90 feet. 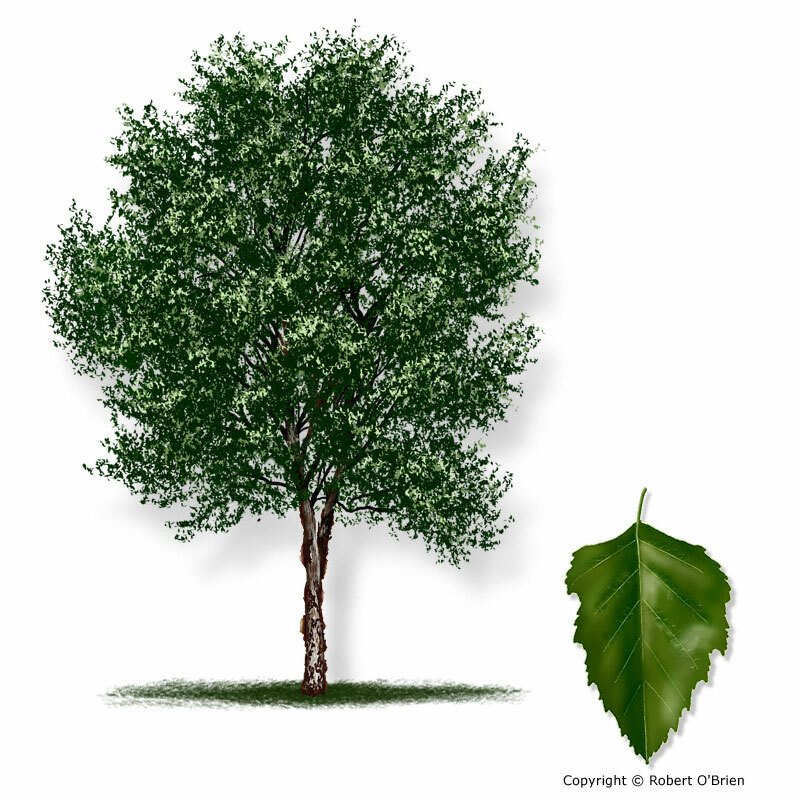 River Birch is native to the eastern United States, and although it prefers wet ground, it will also grow on higher land. It is a favored ornamental tree for landscape use, but is too contorted and knotty to be of use as a timber tree.